As I reported in my last post, I was off to the Texas Library Association’s annual conference in San Antonio last week. In a nutshell, it was a terrific meeting. As I usually spend my meeting and conference times with other medical, science, and/or academic librarians, the chance to mix and mingle with LOTS of kinds of librarians was great. I talked to many community college librarians, several school librarians, and even sat next to the retired librarian of The Alamo while waiting to get Henry Winkler’s autograph. I also visited lots of children’s book publishers and attended a few author talks and poetry readings. I gave my work time to my sessions, but outside of that, sought out some different fun. I plan to post the slides and a synopsis of my talk on emerging roles in eScience in a later post. 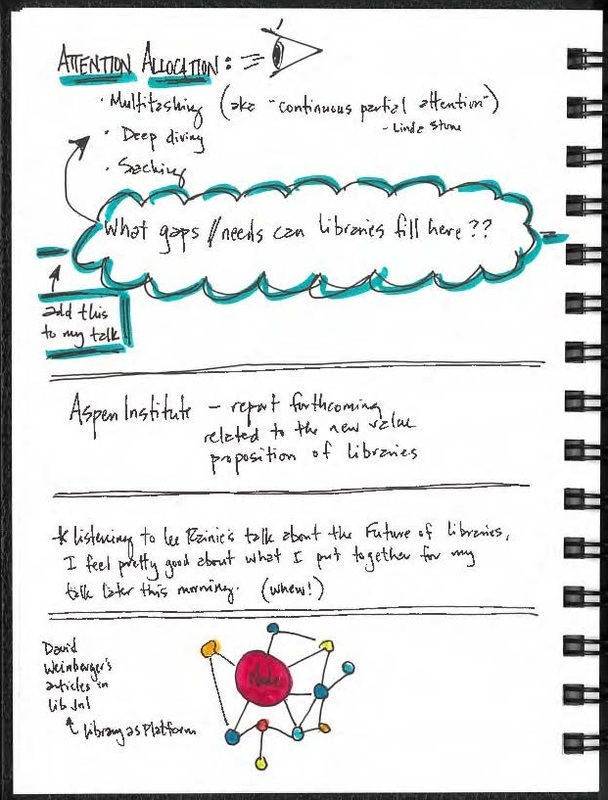 This morning, I wanted to share my notes from a talk given by Lee Rainie, the Director of the Pew Research Center’s* Internet & American Life Project, entitled, “The Future of Libraries.” This was the first talk that I attended at the conference and as it turned out, it set the stage really well for my own talk, as well as others that I took in. 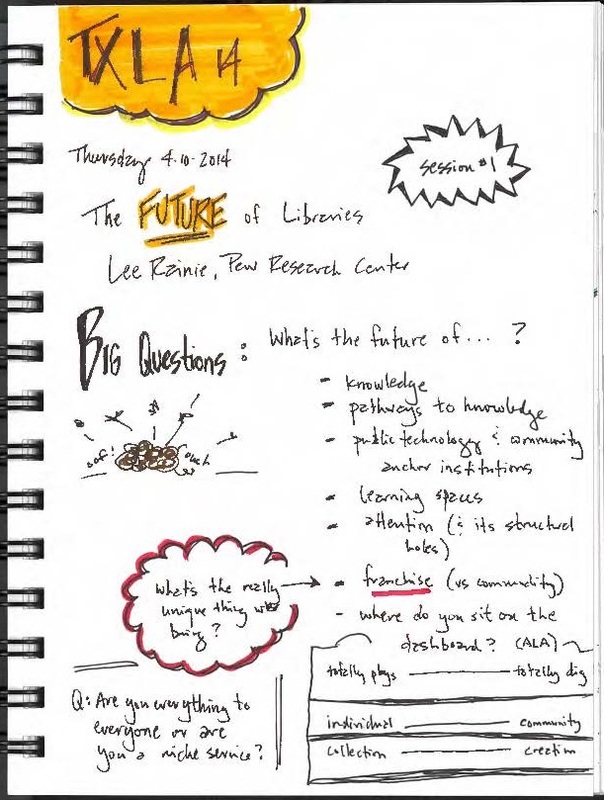 By “the future of franchise,” Rainie meant that we really need to discover and articulate the characteristic(s) of libraries and librarians that make them unique from all of the other entities in an information-heavy world. What makes us special? The answer(s) differ according to context, of course, but the need to know what the answer is and to be able to clearly communicate it to stakeholders is critical to our success. One really interesting point made, to me, was the question of the role(s) libraries and librarians might play in attention allocation. What can we do to fill the gaps that exist in a world where people constantly multitask (called “continuous partial attention” by Linda Stone) and “snack” on information? How can we prepare resources and develop services that work effectively and efficiently in such an environment? Good questions to think about! 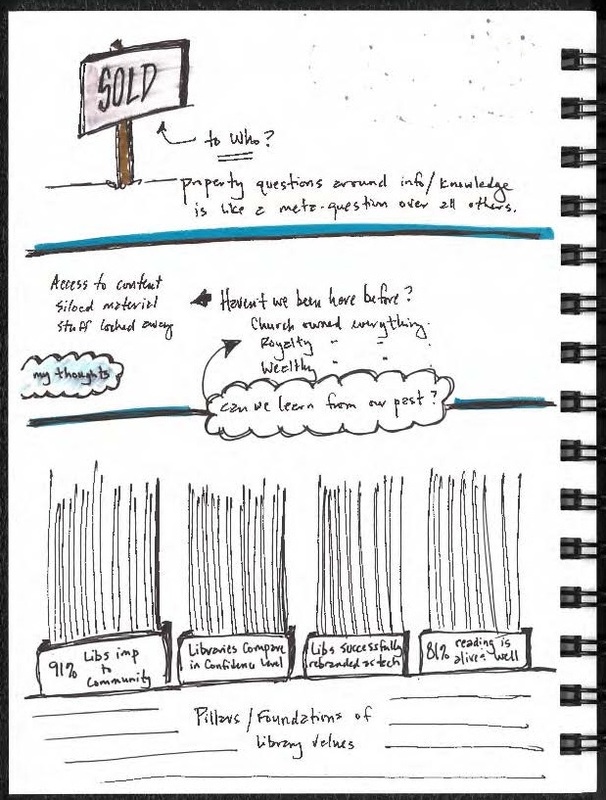 Finally, one of my favorite quotes from the talk was, “Be a smart node in people’s networks.” When people have questions or concerns today, situations involving a need for information, they turn to other people. People turn to their networks much more than they turn to institutions. Be a node in the networks. I loved this description and could see clearly how it fit with so much of what I’ve discovered working on teams, being embedded in projects, and getting out of the library so that I know more and more people. As I said in my own talk about emerging roles in eScience, data is but one half of the eScience picture. The other involves networks. Hearing Rainie’s quote, I felt pretty good about the track that I’m on for my future as a librarian. *Data sets from the Pew Research Center are available for download. Visit their website for more details. Thanks, Sally, for sharing! 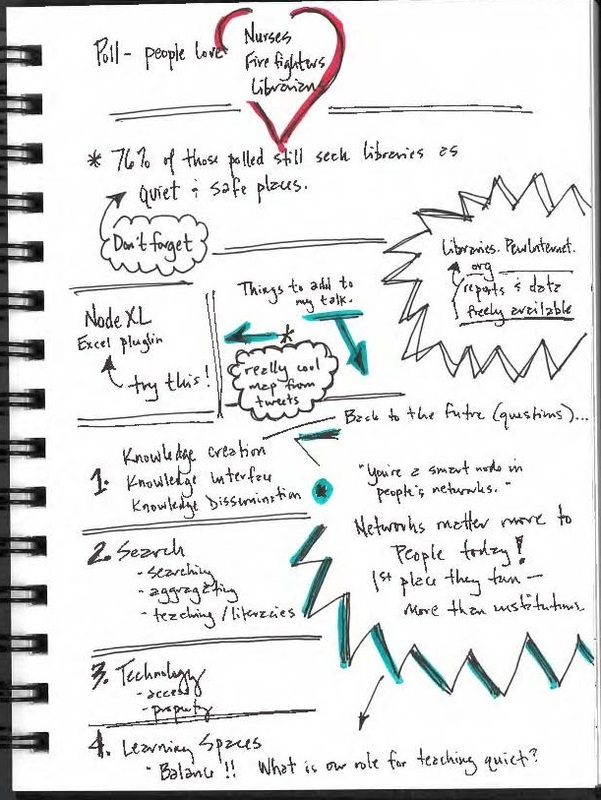 I have been reading and thinking a lot about nodes and networks. This confirms my thoughts that I want to learn more about it.